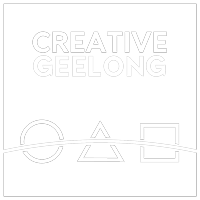 Share a sandwich and chat with government relations specialist and President of Creative Geelong Jennifer Cromarty. Jennifer will present a brief overview of key considerations in influencing outcomes and community advocacy and also host a Q&A. Her track record includes working extensively with people and organisations who want to talk to government and influence decision makers. She's run national campaigns for significant reform projects through to volunteering as a local advocate for community issues. Her work has garnered significant funding from all levels of government, created new policy agendas and delivered impactful outcomes for community.